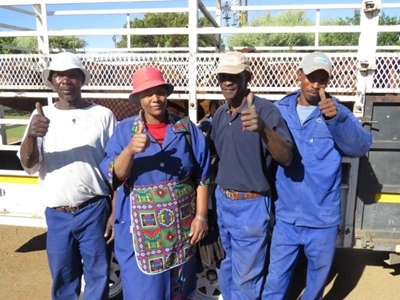 In 2009 the van Niekerk family wanted to explore options on how to empower the farm employees with a sustainable income other than their monthly salaries. Witnessing the vast amount of people depending on their employees for survival, they recognized the need to create a scheme which would secure an additional safety net for the staff and their dependants. The long term goal was to use this project and the State’s involvement as a marketing platform, to prove to the farming community that it is possible to commit to a successful, financially feasible and sustainable project with the State and that there are funds for such initiatives.The successful execution of the project is to encourage the State to motivate and support similar, successful designs of BEE farming within operational farms. Considering that Langkop is a farm that depends on grazing for game and livestock, the more common practice of allocating land to employees was not feasible and an alternative approach was needed. The idea was to involve the State in the upliftment design, a “rand-for-rand” plan. 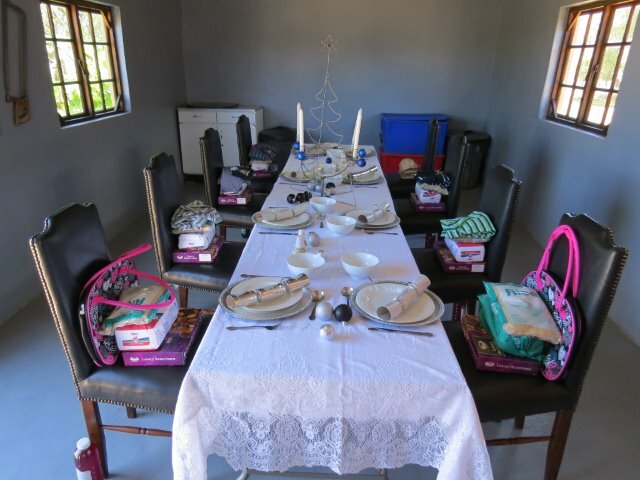 The van Niekerk family were hoping for the State to match each rand they invested in the scheme, which was set to benefit a considerable number of community members. In 2011 Mrs. van Niekerk was entered into Female Entrepreneur of the Year competition by the Boshof Agricultural Advisor, and she was awarded the first price for the Free State category. Instead of accepting the promised personal monetary award, she requested that the State enter into her proposed employee empowerment scheme and match the van Niekerks’ financial investment in the plan. The proposal was accepted and along with George Madiba and Botho Phule of the Free State Department of Agriculture, Mr. and Mrs. van Niekerk set to explore a number of options for the project. 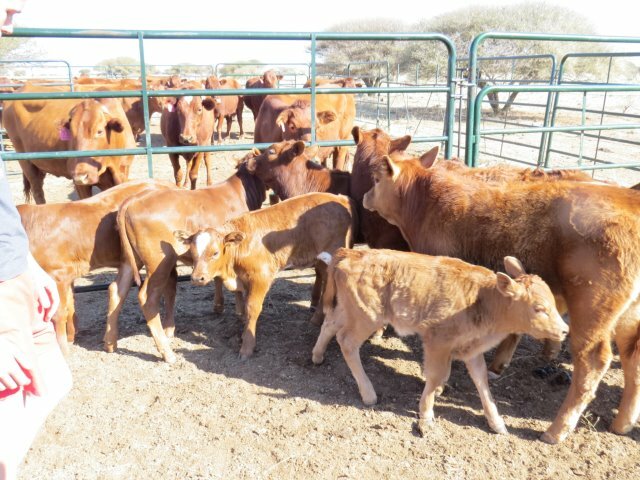 The initial idea was to purchase either a number of cattle or game and to utilize municipality land for grazing. As no suitable municipality land has been available, land had to be sourced elsewhere. 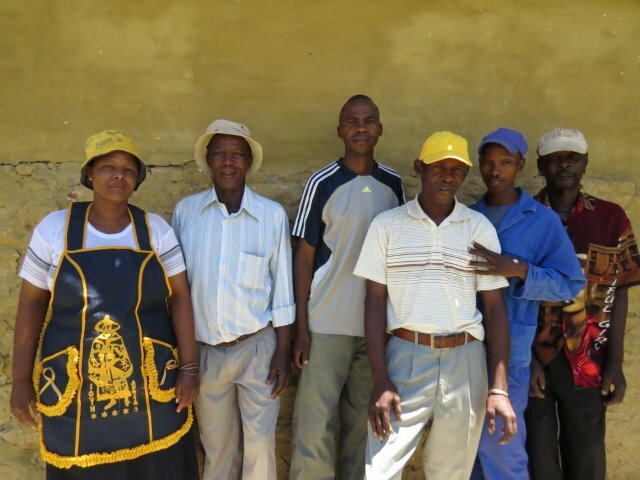 The direct beneficiaries of the Langkop BEE project are first and foremost the farm employees and their immediate families; currently Maria Dibane, Daniel Leeuw, Stoffel Brand, William Tiayne, Marten Matli and Gompie Makhobekhobe all are permanently employed. Their extended families and other dependants as well as the community at large will reap the benefits from the project in the long run. 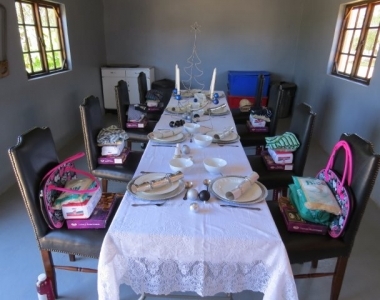 As a pay-it-forward project, Mrs. Dibane has started an initiative in her neighborhood of Seretse – a children’s activity centre will be funded by the Langkop BEE project, to keep children occupied constructively and away from the taverns. The centre is to engage the services of unemployed women of the community. 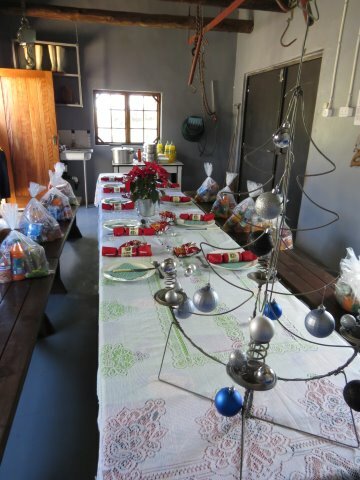 “I have worked for the van Niekerk family for the past six years. I am married and we have one daughter, who lives with us with her son. All in all, my husband and I look after ten people in our household, including young children who have nowhere else to go. I have a vegetable garden here on Langkop farm, which supplies me with produce with what to feed our household. The farm butchery assists us with meat regularly. We now eat very well thanks to the assistance. I was first told about the Langkop BEE project long, about four years, ago and we’ve been praying ever since for it to become reality. There have been so many meetings on the farm and after each meeting we were updated on the situation. Sometimes the news was not good, but we kept on having faith and hoping for the best. The constitution for the project is straight forward. Each permanent employee, after one year of employment, enters into the scheme. 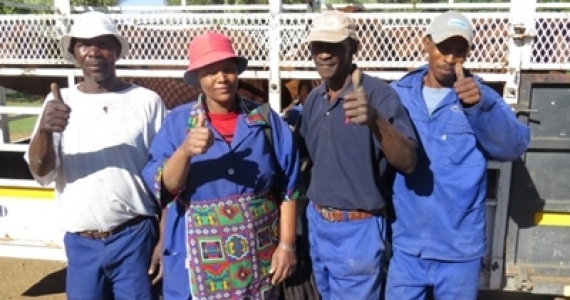 Employees attend to the cattle, the fields and the fencing, along with the van Niekerk family. Once a year a number of calves will be sold and the funds accrued will be deposited on to a trust account. After deductions have been made for overhead expenses (from May 2015) and 20% is put aside for the following year, the remaining funds are divided evenly between the employees. The redistribution of funds is done once a year, as from year 2014. Funds cannot be drawn any other time. This design ensures that the project is sustainable, transparent and fair. It took four years before the project finally saw daylight and many challenges appeared along the way. At times the family felt the State failed to take them and their goal seriously, looking for hidden agendas instead of focusing on the task at hand. 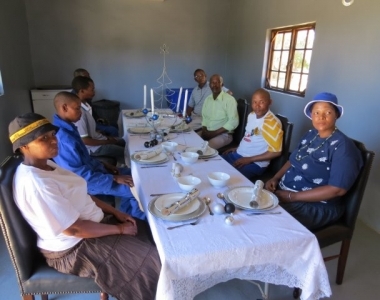 The family appreciates the assistance offered by Mr. Madiba, who has helped them to rise to many of the challenges constructively and successfully. Free State province is very dry country and regularly suffers from severe drought. Here one cow requires 12 hectares of grazing each year in order to survive – the search for sustainable grazing continues to be hugely challenging and a great financial concern. 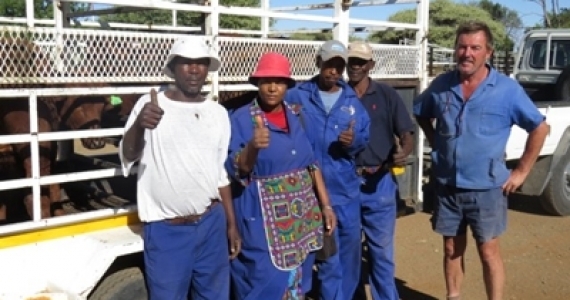 The van Niekerk family agreed to carry the monthly overhead expenses for the first two years of the project before there is revenue of the stock. Overheads consist of all feed supplements, licks, water and feed troughs, fencing, veterinary needs, insurances etc. until May 2015 when the project should be financially sustainable to cover its costs. 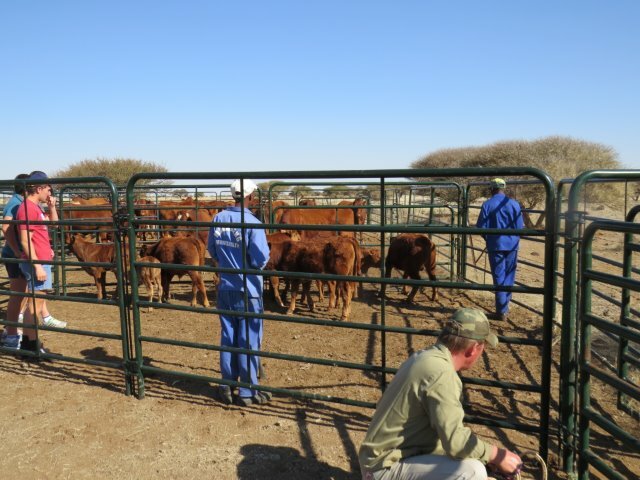 After unfortunate, unforeseen delays along the way, the project finally became reality when in May 2013, 25 heads of quality cattle, all of them pregnant cows, were selected and allocated for the Langkop BEE project. 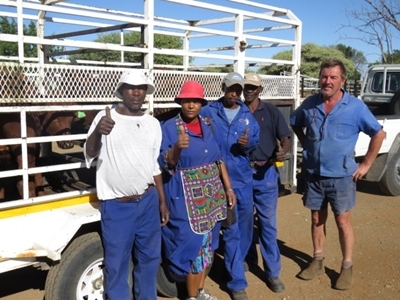 The van Niekerk family has supplied a quality stud bull to serve the cows, in order to ensure that the project will continue to produce high standard offspring. As suitable municipal land was not available and grazing on Langkop farm was not sufficient, grazing land was rented locally. To the day,four calves have been born to the BEE herd and the entire herd is healthy and well adapted to their current habitat. Water and feeding troughs were installed and fencing repaired to accommodate the cattle. A select number of calves will be sold in 2014 and the first payments to the Langkop BEE project beneficiaries will be made. Finding suitable grazing is the main concern for the future of this project. Current grazing arrangement has been agreed on until August 2014, after which alternative grazing must be sourced. Municipality land in Boshof is in disrepair and most unsuitable for quality cattle. 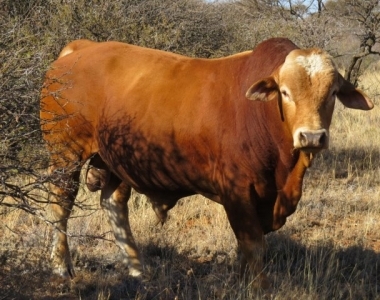 Grazing in Langkop is limited and not sufficient to sustain the herd. Boshof lies in a very dry part of the Free State, where one cow requires twelve hectares of quality grazing per year. Currently, at 200 ZAR per hectare per month (60,000 ZAR/year/herd of 25 cattle), good grazing land is challenging and very costly to come by. As an alternative to cattle, the option of selling all cattle and purchasing selected game animals should be investigated. Farming of game would give a greater return of investment. A smaller herd of good quality game animals require less grazing and could be accommodated on Langkop farm. 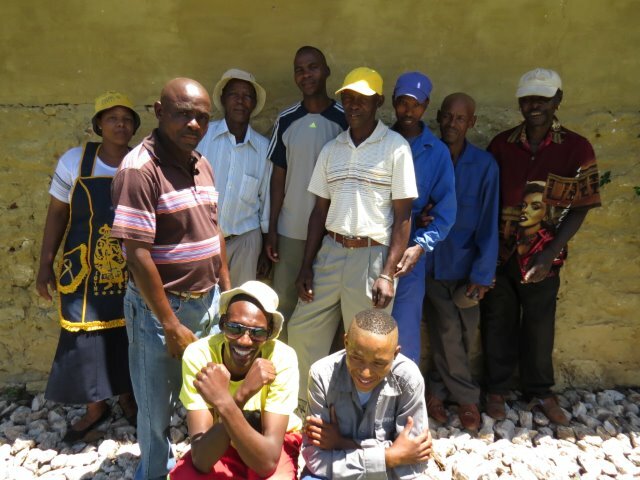 The Langkop BEE project has been kept on the low key, even in the local farming community. The idea was to showcase the success of the project first to the State and then present it to local operatives. There have been very few successful, large-scale BEE farming projects in the area and it is hoped that the State will use this opportunity to motivate other farmers to commit to similar projects. 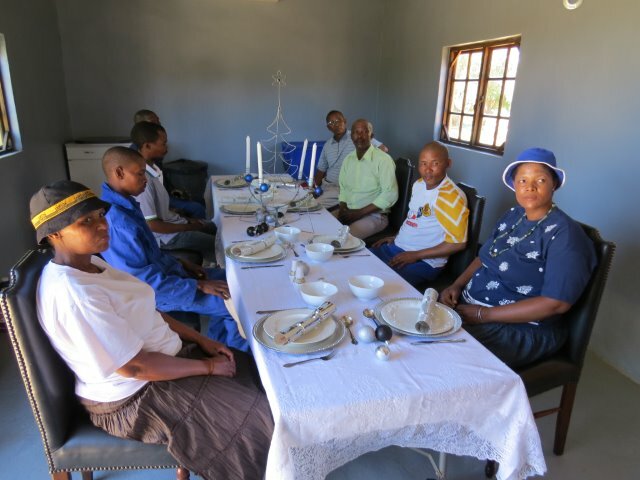 The van Niekerk family would like to thank the State Agricultural Department for their assistance in the project, and in particular Mr. Madiba for all his support throughout the years. The cattle in these photo’s belong to the partners of the BEE project.